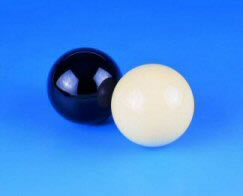 Spare Singular Ball; Black Ball. Please Note: picture shows Two balls. Only the Black Ball is supplied.